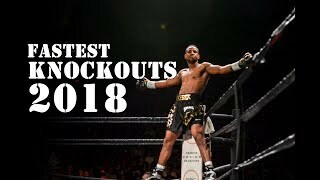 Part 9 of 25 cocky fighters in boxing and MMA who tasted the wrath of karma. Buster Mathis Jr. is one of the few boxers who made Iron Mike Tyson missed many shots during his prime. July 29, 1994-Rising star Oscar de la Hoya(13-0) against popular Mexican boxer Jorge Paez. Battle of undefeated Latinos between Rising star Felix Trinidad of Puerto Rico and legend Ramon Campas of Mexico. 1978-09-09 : Ray Leonard 146¾ lbs beat Floyd Mayweather 146 lbs by TKO at 2:16 in round 10. 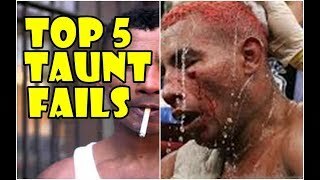 If you hate Ricardo Mayorga then its a must see video for you. 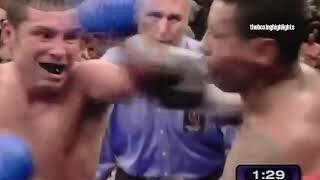 Part 1 of the most memorable hooks in boxing history. 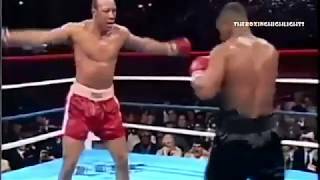 The 5 craziest fights of Iron Ike Tyson against Mitch Green, James Smith, Francois Botha, Lou Savarese and Evander Holyfield. 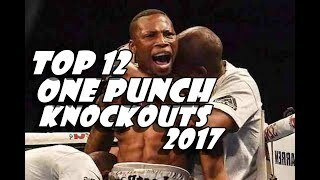 Here's my list of Top 12 One Punch Knockouts of 2017. Enjoy. 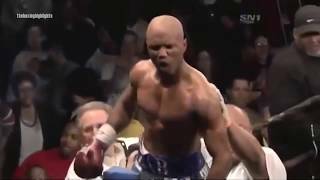 First part of the most memorable freak out moments in boxing history. They tried to taunt Roy Jones Jr during his prime and paid the price.